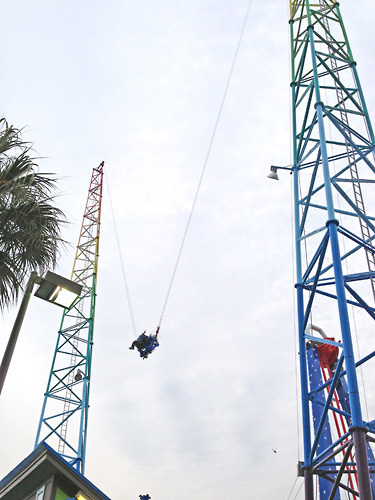 For the adrenaline rush of a lifetime, go for a ride on the Sling Shot Thrill Ride. Get ready (as ready as you can be!) 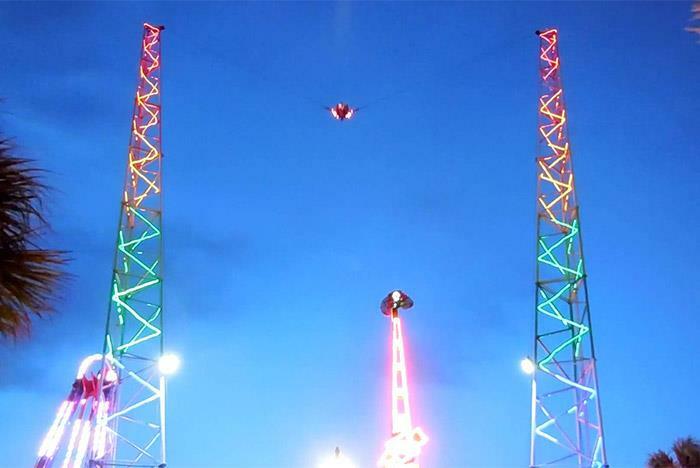 to be launched into the air as you and your partner scream at the top of your lungs. 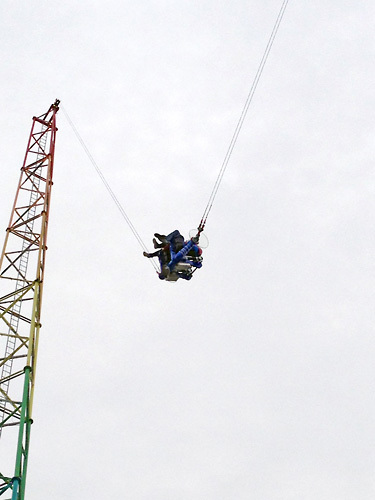 Next thing you know, you’re hurtling back towards the ground to do it all over again. 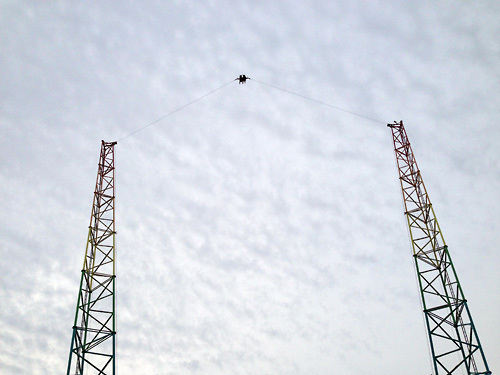 Can you handle the speed and thrill of the Sling Shot Thrill Ride? There’s only one way to find out! Holds two riders at a time. 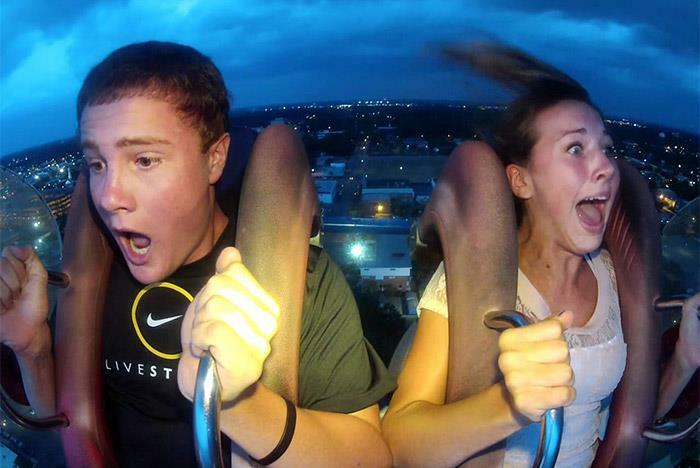 Passengers may purchase the video of their ride after the experience. 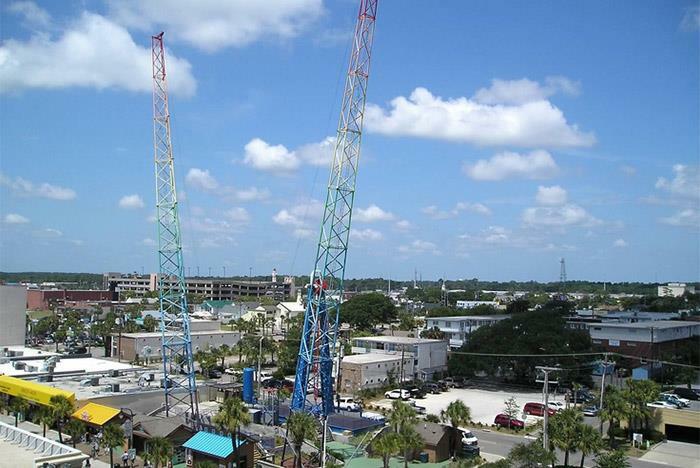 The Slingshot is the most intense and extreme ride in Myrtle Beach. Experience 5 G's at take off! Passengers are propelled over 300 feet at speeds over 120 miles an hour. 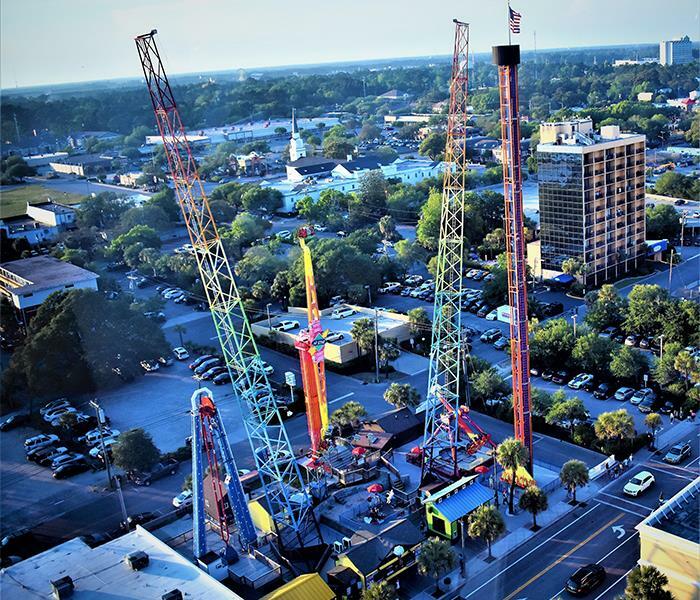 The Slingshot is the most intense and extreme ride in Myrtle Beach. Experience 5 G's at take off! 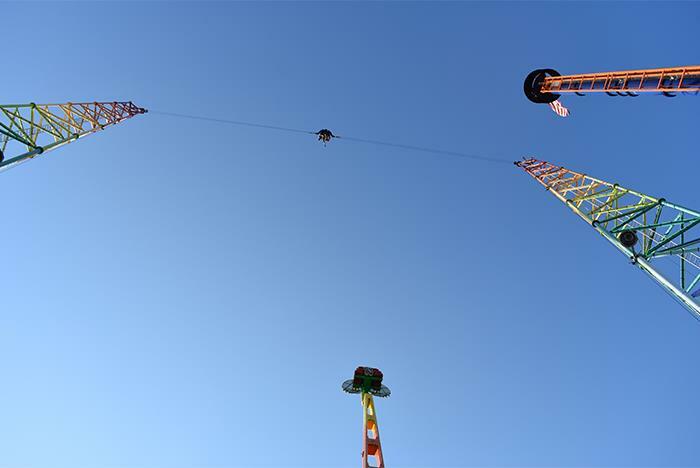 Passengers are propelled over 300 feet at speeds over 120 miles an hour. 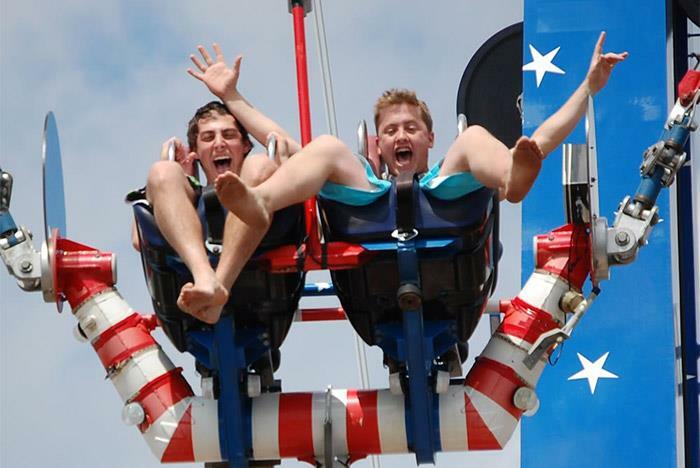 Up to two riders at a time lie on their backs and face the sky. Suddenly, they are propelled into the air at a mind-numbing speed, only to plummet back down to Earth and do it all over again! To put that in perspective, at the apex of your launch, you are roughly as high as the observation tower on the Eiffel Tower! With a little bit of team work, you and your partner can get the circular capsule spinning in the air! 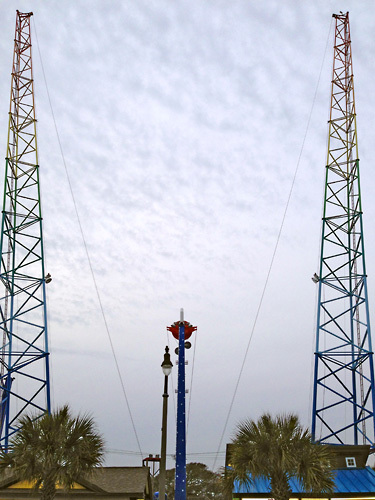 The Sling Shot has a mounted video camera to show on-lookers the experience and reactions of the riders. The videos are available to purchase after the ride. Located at the corner of 12th Ave. N. and Ocean Blvd. in Myrtle Beach. Operating schedule subject to change without notice due to inclement weather. You MUST be 44" at the shoulders to ride.